Notice is hereby given that original Letters Testamentary for the Estate of Michael Cordell Crump, Deceased , were issued on February 5, 201 9, in Cause No . 10363, pending in the County Court at Law of Caldwell County, Texas, to: Amy Banda. DATED the 5th day of February, 2019. John A. Hall & Associates , P.C. SUP-19-04. A request by Austin Ida Russell, on behalf of Premier Dental, for a Specific Use Permit to allow a 9-foot tall Medium Profile Sign on Lot 5, Block 2, 20 West Subdivision, Section 2, zoned CMB Commercial Medium Business District and located at 701 State Park Road (Hwy 20). All interested persons owning property within 200 feet of this property who wish to state their support or opposition may do so at this Public Hearing; or they may submit a written statement to the City Planner or his designee for presentation to the Planning and Zoning Commission at or before the time the Public Hearing begins. Should any person be aggrieved by the Commission’s action, a request may be submitted in writing for an appeal to City Council. Such request must be submitted to the Zoning Administrator (City Planner) within ten calendar days of the date of the Commission’s action. AN ORDINANCE OF THE CITY OF LOCKHART, TEXAS, AMENDING THE OFFICIAL ZONING MAP OF THE CITY OF LOCKHART, TEXAS, TO RECLASSIFY THE PROPERTY KNOWN AS LOT 1, BLOCK 1, LOCKHART GATEWAY ADDITION, LOCATED AT 2201 WEST SAN ANTONIO STREET (SH 142), FROM AO AGRICULTURAL-OPEN SPACE DISTRICT TO CMB COMMERCIAL MEDIUM BUSINESS DISTRICT. AN ORDINANCE OF THE CITY OF LOCKHART, TEXAS, AMENDING CHAPTER 6 “ALCOHOLIC BEVERAGES” OF THE CODE OF ORDINANCES, SECTION 6-3 “LOCATION OF SALES RESTRICTED”; PROVIDING FOR SEVERABILITY; PROVIDING A REPEALER; PROVIDING FOR PENALTY; PROVIDING FOR PUBLICATION; AND ESTABLISHING AN EFFECTIVE DATE. 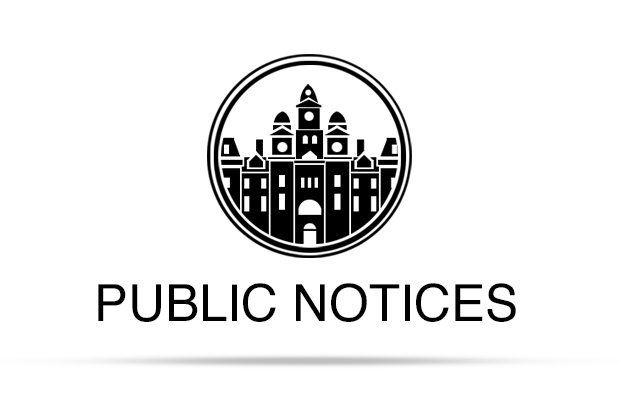 The complete ordinance(s) may be viewed at the City Secretary’s Office, 308 West San Antonio Street, Lockhart, Texas, during normal business hours of 8:00 a.m. until 5:00 p.m., Monday through Friday. Notice is hereby given that original Letters Testamentary for the Estate of Michael Cordell Crump, Deceased, were issued on February 5, 2019, on Cause No. 10363, pending in the County Court of Law at Caldwell County, Texas, to: Amy Banda. DATED: the 5th day of February, 2019. John A. Hall& Associates, P.C. 2111 W. San Antonio St., Suite 101, Lockhart, Caldwell County Texas. Officers of said corporation Ravinder Sahota, Managing Member, Perminder Sahota, Managing Member. Sunday: 11 a.m. & 6 p.m., Monday: Noon & 6 p.m. Tuesday: 6 p.m., Wednesday: Noon & 6 p.m., Thursday 6 p.m. Friday: Noon & 6 p.m., Saturday, 10 a.m. & 6 p.m. and at 1016 Fir Ln., Lockhart. For more information, please contact Steve (512) 517-6054 or Chris at 512-970-0844.